Last year, CCAI recognized ABC’s top rated series Extreme Makeover: Home Edition as a National Angel in Adoption™. At the time of the award’s gala, the show had built homes for 32 deserving families who had fostered andor adopted children. In April, an episode aired that featured Beverly Hill-Burdette, who is one of CCAI’s 2011 Angels in Adoption™. Because of her heart of gold and passion for helping children, as Beverly has fostered over 30 children and has adopted six, she was selected by Representative Scott Rigell (VA-District 2) to be his Angel in Adoption™. While the Extreme Makeover: Home Edition crew was working hard to build her new house in Virginia Beach, designer Johnny Littlefield headed to Washington, DC to accept the Angel in Adoption™ award on Beverly’s behalf. When Johnny returned back to Virginia Beach, he made sure the award certificate was a part of the décor of Beverly’s beautiful new home. 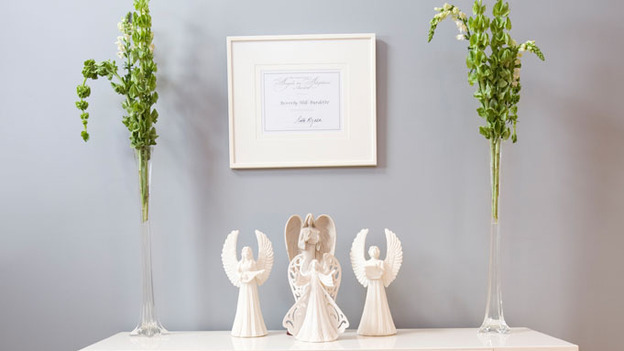 In fact, the first thing Beverly saw upon entering the foyer of her house was the framed Angels certificate, personally signed by Representative Rigell. Be sure to watch the video of designer Johnny Littlefield’s meeting with Health and Human Services Secretary Kathleen Sebelius to receive the award on Beverly’s behalf.